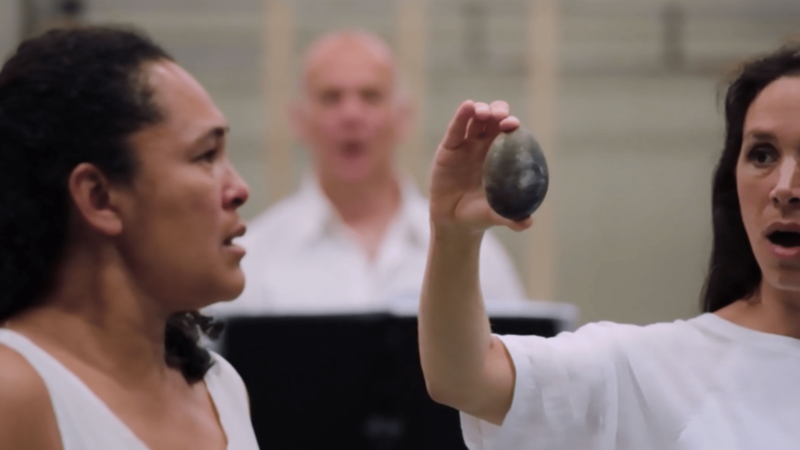 Seven Stones, an opera based on poems from the 2007 poetry collection The Song of the Stone Collector with music by composer Ondrej Adámek and Sjón’s libretto will be premiered at the Festival d’Aix-en-Provence on the 7th of July, 2018. For information on the contributing artists, dates and more go to the festival site here. A number of Songs written by Sjón and Björk Guðmundsdóttir are the inspiration and soundtrack for choreographer Arthur Pita’s “Björk Ballet”. It will be premiered on the 26th of April as a part of the San Francisco Ballet’s spring season in a program called Unbound. Read all about it here. 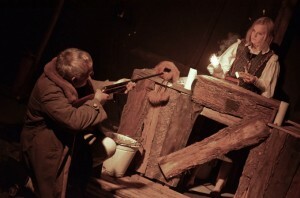 Skugga-Baldur has been adapted for the stage by director Kamila Polívková and actress Tereza Hofová of the theatre Studio Hrdinů in Prague. The show has raked in award nominations and prizes for the actress and the theatre. For more information go here. Dancer in the Dark, a musical film made from a story by Lars von Trier, music by Björk and a libretto by Sjón has been adapted for the stage in Brazil, the legendary country of music and dance, and is performed in beautiful Portuguese as Dançando No Escuro. Mánasteinn – drengurinn sem aldrei var til/Der Junge, den es nicht gab/Moonstone – The Boy Who Never Was has been adapted as a monodrama by actor Michael Neuenschwander and Sophia Bodamer of the Schauspielhaus Zürich. Premiere was in March 2017. 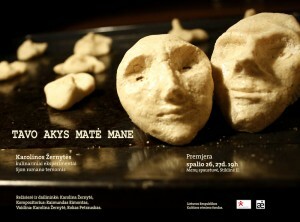 Augu mín sáu þig/Tavo Akys Maté Mane/Made in Secret has been adapted for a puppet and object theatre in Vilnius. 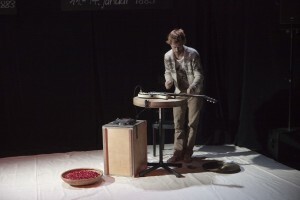 Adaption and direction is by Karolina Žernytė, music by Raimundas Eimontas, and the director herself performs with Rokas Petrauskas. Premiered in October 2012 in the Arts Printing House/ Menų spaustuvė in Vilnius. 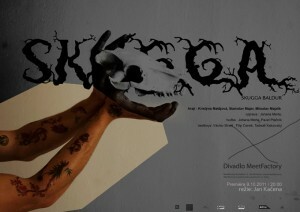 Skugga-Baldur/The Blue Fox/Schattenfuchs/Syn Stínu has been adapted for the stage by two companies so far. October 2011 saw the Czech premiere of a free adaption of Skugga-Baldur by director Jan Kačena who brings the original story into play with the works of the 17th century astrologer/astronomer Johannes Kepler. 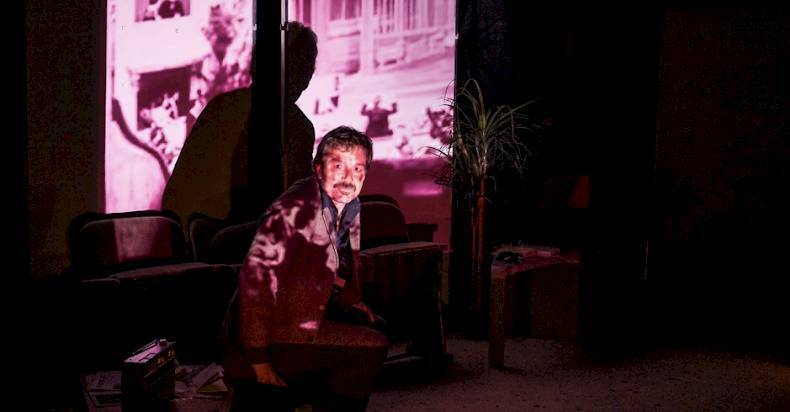 The piece plays in the Meetfactory, Prague’s number one place for innovative arts. Anna Hašková reports on her experience of the premiere on the Czech Radio. “theater etc.” premiered their adaption of Schattenfuchs in Switzerland in autumn 2009. The team of actress Serena Wey, musician Benjamin Brodbeck and director Sabine Harbeke composed a piece of intensity and focused lyricism. The play has travelled widely in Switzerland and is still on the repertoire of the company. Augu mín sáu þig/De tes yeux, tu me vis/Dine øjne så mig was adapted for the radio by playwright Bjarni Jónsson and adorned with a soundscape by the band múm. 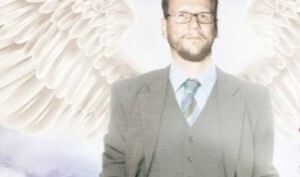 The role of the nosey angel Freude was played by Sjón. Augu þín sáu mig premiered on the Icelandic National Broadcasting Service at Christmas time in 2008. It was nominated for the Prix Europa in 2009 and made it to the list of the six finalists for the Best European Radio Play.